As someone that grew up with arcade games and 80’s synthpop music, I cannot hide my fondness for FM Synthesis. This was the sound of the future and in a somewhat mystical way, still is. It can sound tinny, aggravatingly metallic or warm and bass-heavy. Aural landscapes that are representative of both happy, fuzzy worlds and those that are dystopian. Light and darkness all produced in an embedded range of chips manufactured by Yamaha. These chips would find a home in Yamaha’s famous DX7 digital synthesizers, arcade boards and PC sound cards from AdLib and Creative Lab’s early Sound Blaster range. Enough can’t be said about all the sounds that were coming out of all these synthesizers, arcade cabinets and sound cards. Sounding incredibly synthetic, plastic even. And somehow they became relevant in a sea of naysayers. Melodies were supposed to be the preserve of the musician who could actually play real instruments, not some midi punk. In a sense, keyboard players and sound coders were in all likelihood working harder than the average traditional musician. 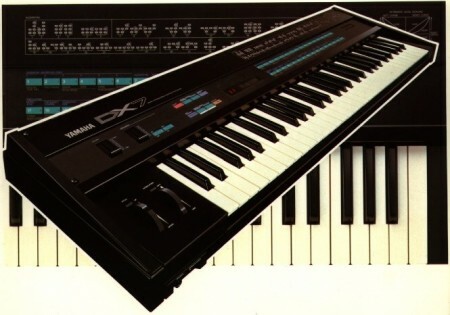 Many electro/synthpop bands were notorious for spending hours on end, tweaking the settings on their synthesizers to get a unique sound- they could call their own. At the other camp, programmers would often hand code sound routines in assembly in order to fit in the music. Given the memory limitations of home computers, consoles and arcade systems during that time period, this was not exactly an easy task to achieve. Not to mention that FM synthesis is known for it’s quirks and complexity. Over the past few months I’ve come into contact with a composer that specializes in audio production for games and film. Joe Gilliver – BA Hons of Ocular Audio has been kind enough to write the next article for my blog, which will cover FM synthesis deeper. Joe is based in the UK and is currently working on a project called Black Shuck. Apart from demystifying FM synthesis, Joe has also written this article which gives greater insight of his current project at Gamedev.net.